Just like our 7 inch version, just about half the size at 4.5 inches. Same gorgeous artwork, hand painted, cold cast resin. 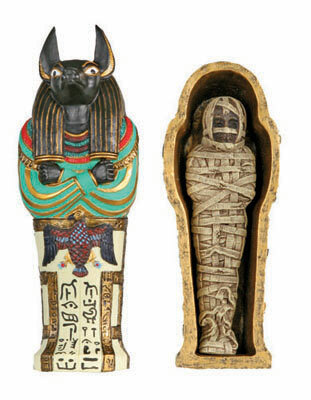 Of course the mummy is smaller, too.